Make your SoulFest experience the best one ever! Meet your favorite artists, get exclusive access up close to the performances, purchase your own personal parking space, and more. Get exclusive access to the VIP Meet & Greet tent for ALL Artist signings for the day! Also enjoy all-day access to the VIP lounge where you can escape from the heat to find some shade, water, and power to charge your phone! Access to the press pit area in front of the Revival Stage. You can’t get closer to the performances than this! Enjoy the show on stage with the artists! The VIP Deck is located on stage right of the Revival Stage. All day access, standing room only for 20 people. Receive your own designated parking spot at the easiest access in and out of the festival. This numbered spot will be your personal spot throughout the festival. Only 165 VIP spaces available! Includes 1 day Meet & Greet pass, 1 day Pit Pass, and 1 day Direct Access Pass. Does not provide festival admission. 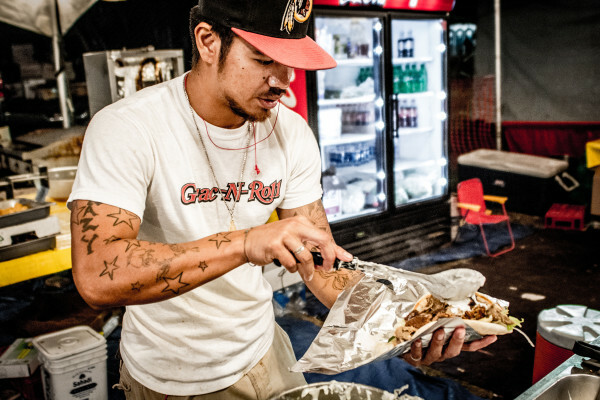 Get backstage access to the Artist Catering building and share two meals (lunch and dinner) in the artist dining area. ONLY 6 PASSES AVAILABLE PER DAY. Have your own hangout space with power to charge cell phones, shade from the sun, a fan to keep you cool, 4 folding chairs, and 1 case of bottled water. Limited tents available, book early! Enjoy quick, direct access from the main parking lot (outside festival grounds) directly to the Revival Stage. Make your arrival and departure each day fast and convenient! Pass is good for Main Lot parking - you may leave and come back, but return by 5 PM. This is NOT a reserved/numbered spot specific to your pass, but just general access guaranteed before 5PM.